If you would like to take advantage of opening an account please print out and complete our Account Application form. 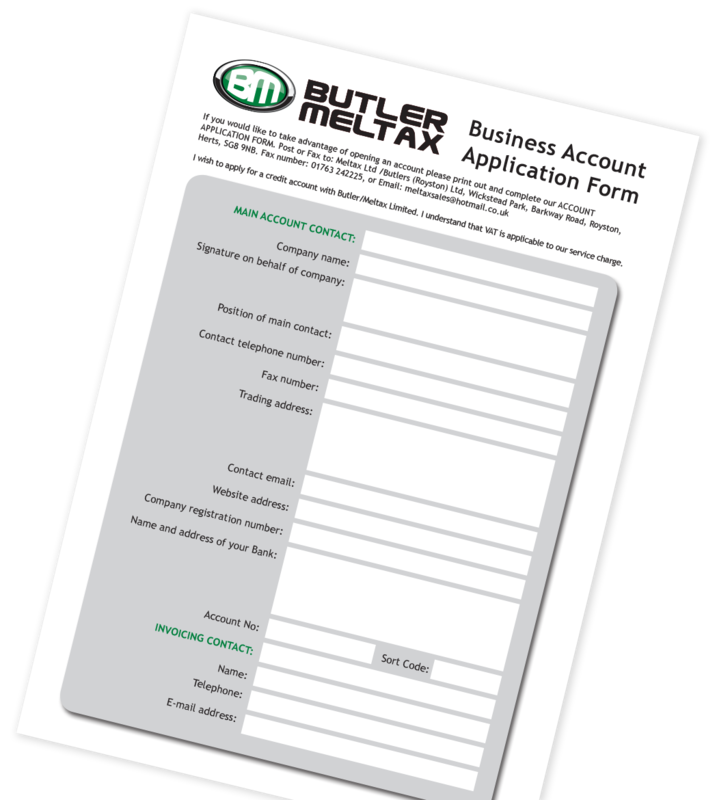 I wish to apply for a credit account with Butler/Meltax Limited. I understand that VAT is charged where applicable.